We first came across Audiomica from a review in 6Moons. The review really impressed us so we asked for some samples and they truly surprised us in their performance. In fact they sounded better than anything else we had ever heard and they rest is history. These cables really allowed our reference system to shine. No sweetening or smoothing off the higher frequencies, no artificial bass lift, all the leading edges in the right place at the right time, truly excellent stuff. Then the biggest surprise came when we found out the price, Audiomica’s top of the line cables were less expensive than our previous reference cables. In addition to the many good cable companies, the HiFi cable and interconnect industry is full of performance claims and counter claims, hype, clever marketing and some would say smoke and mirrors. What struck us about the Audiomica cables is that they are plain musical and you forget about the equipment and want to just listen to music. Audiomica has been present in the audiophile market for more than twelve years, at first as hobbyists and now as a manufacturing and trading company. After the years of research, they found out that the quality of audio cables is not only affected by such obvious aspects as the kind of conductor, weave, screen and the composition of raw material but also by the filtration of a signal. That is why the unique filters have been developed in their Laboratory. Every single process of creation begins with an idea. In this aspect we are receptive to suggestions of our workers, indirect clients and target consumers. It results in numerous innovative projects which very often evolve into totally new products or upgrades for already existing ones. Should you have any suggestions which you would like to share with them, please write tol: laboratory@audiomica.com. Their long-standing experience in hi-fi cables manufacturing has taught them that there is always some space for improvement and doing something better. If there are people who suppose otherwise, they are certainly wrong. New technologies, brilliant notions, inventions… They keep their finger on the pulse. A design phase is inextricably linked with research. They do most of the development research on their own. Moreover, they consistently extend their research base and incorporate new companies which closely cooperate with Audiomica Laboratory. The companies give them access to measuring equipment and newest technologies which are unobtainable for them. Theory not always goes hand in hand with practice and thus after the laboratory research all the prototypes go to their listening room. In this room the final verification takes place. After this practical session, the prototypes go again through all the preproduction stages: idea, design, research and finally back to the listening room. Their analysis shows that only 20% of the prototypes successfully go through all the preproduction stages. Despite the fact that they own plenty of listening equipment in a properly adopted acoustic room, they have also decided to lend the prototypes to a test group. They have practiced it since they introduced their Excellence Series. After they receive feedback from their test group, they implement all necessary changes and send the improved versions back for further evaluation. Tests carried out in over twenty different hi-fi systems resulted in an award from High Fidelity Magazine: Best Product 2012. The list of testers is not closed yet and we successively widen their number at each Warsaw Audio Show. There is this theory according to which a cable plugged in one direction should perform better than the same cable plugged in the opposite direction. The theory is called directionality. Our long experience in cable manufacturing does not allow us to explicitly declare directionality of a given structure. Even though listening tests lead to the conclusion which supports the theory of directionality, this theory seems to be invalidated by experience. Many times our recommendations on how to plug a certain cable proved wrong in the client’s system. The influence of certain electronics and speakers is not always predictable and there is an infinite number of configurations to boot. The best way to choose the direction of a given cable is to plug it both ways and then select the option which suits you best. Double Coating ProcessTM is a technology of applying an electroplated coating. The technology was invented and patented by Audiomica Laboratory. 90% of plugs and sockets existing on the market are notorious for their poor quality coating. Gold-, rhodium- and silver-plating processes which are normally on offer leave a lot to be desired while the quality and thickness of the plating are of great importance. 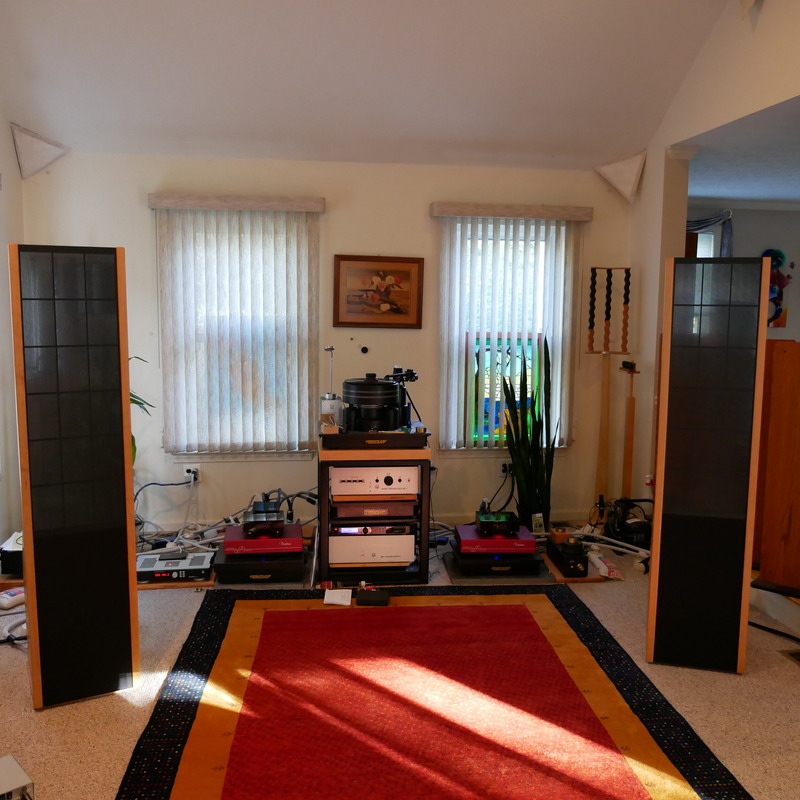 It is not yet another audiophile whim – it’s physics. Only the current of low frequency or the constant one flow through the whole section of a conductor and even such currents must be eventually released. In other cases the current does not get to the inside of a conductor but flows on the surface. That is why the quality of the surface of a conductor and a plug is so significant. At the beginning we developed DSSTM – Double Screen SystemTM. It is a combination of double screening and a special braid of conductive wires. The multi-wire braid eradicates the mutual induction of currents and thus eliminates interference. It is done by means of the magnetic field which is produced by the neighbouring wires. The system is successfully used even today in the cables of Black, Gray and Red Series. – The liquid has excellent anti-vibration properties. Thanks to its extremely liquid consistency it fills all the micro slits protecting the whole soldering surface. – MSL after hardening shows huge mechanical resistance and high thermal and chemical resistance. It is also waterproof. – It removes heat emitted by current and thus extends the lifespan of soldering. – Electrically neutral and non-flammable. – Hard-flexible, easily removable with UVA light of 300-400nm wavelength. Especially useful property when someone needs to replace plugs.The main task of Mica Security Liquid is protecting solderings mechincally: transport, weather conditions, accidental falls, etc. As the material is electrically neutral, it does not affect the quality of transmitted signals. It does not upgrade and downgrade the sound. In the nearest future, we plan to use this material not only in our plugs but also in TFCT anti-interference filters. There is a lot more insight and information on the philosophy and design techniques on the Audiomica website, click on the logo above to visit or call us for more information. Thanks for turning me onto the Audiomica labs cables, they truly are the most natural sounding cables I’ve heard. My listening sessions have now doubled because of these cables. These cables have been a revelation! Natural, fast, deep bass what more can you ask, it’s like not listening to cables anymore.